Hey, that tastes good! 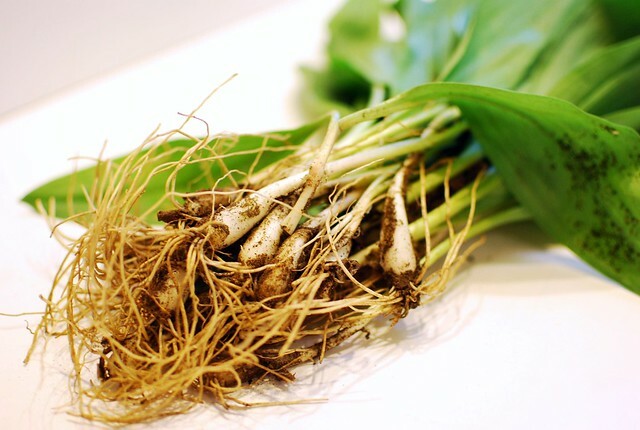 : RAMPS! 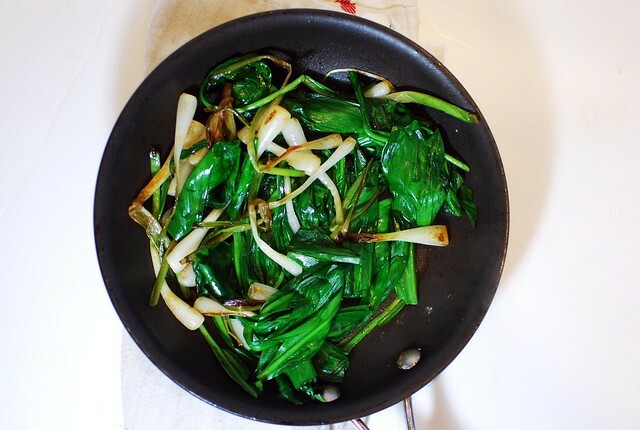 Do you guys know about ramps? 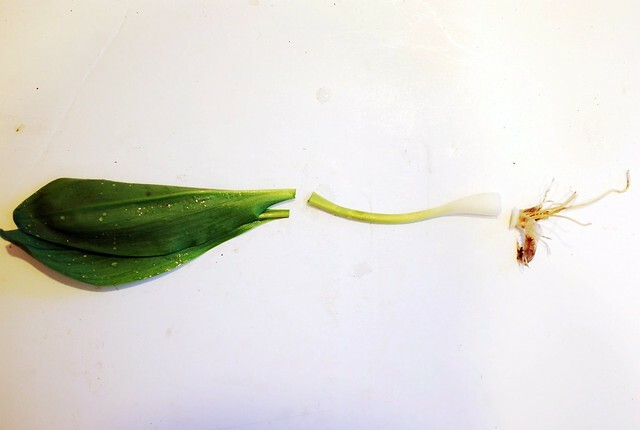 They're related to leek and garlic, and grow wild around New England. Probably some other places too, but I don't live in any other places. These ones grow along the path in the woods where my mom walks her dog, so we brought a trowel and dug up a bunch. They're hard to get out of the ground! But they're so delicious. They're easy to prepare. You can cut them up and cook them in a pan like I did, or you can grill them whole (once you remove the roots), or probably bake them if you feel so inclined. Wash the ramps well. They will probably be dirty. Trim off the roots, then slice in the middle and separate into piles, with a bulb pile and a leafy greens pile. Heat a little olive oil in a saute pan, then toss in the white ends. Cook for about ten minutes on medium heat, tossing a few times. Once the ends are starting to soften and brown, add the leaves and cover. Turn the heat down to low, and cook for 2-3 minutes, stirring once, until the greens are softened. Sprinkle with salt and pepper. Serve over pasta, or with eggs, or just eat like this. 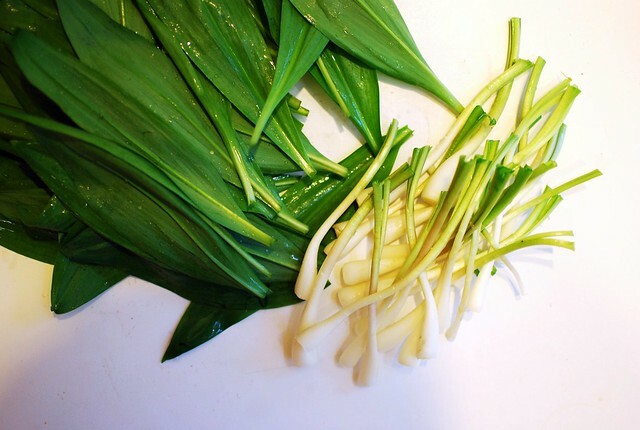 I just so happen to have a bunch of Ramps in my refrigerator! Done!